“To be an industry leader in Electronic design, development and manufacturing, embodying the latest technology and innovations to provide a 21st century supply chain solution to a global market”. Since 1996, Analogue & Micro has been and continues to provide industry-leading design services and solutions to the Electronics industry. Whether it be a 32-bit embedded module or a bespoke, certified and listed product, we have the experience and expertise to meet our customers’ requirements. Based in the UK, the company has grown to cover all aspects of Electronics including hardware development, operating systems and application software development. Analogue & Micro was an early adopter of Open Source software development and continues to provide bespoke bootloader and Linux solutions to its customers using the latest toolchain solutions and configuration management systems. This combined with our VHDL experience, allows us to realise the most demanding technical requirements. Our design experience and knowledge extend to product design and formal qualification. We are able to offer bespoke solutions for the harshest environments including Aerospace, Defence, Oil and Gas, Transportation and Telecommunications. All our customers benefit from our wide-ranging experience when it comes to EMC, safety, environmental and legislative compliance. Aside from our design expertise, our on-site manufacturing facility and competency allows us to provide product quality assurance to complement our design work. 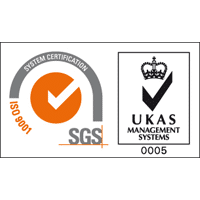 Our robust processes and controls are reinforced via our ISO9001:2015 certification. The close relationship between our design and production services ensures we maintain product quality for the entire product life cycle including obsolescence management. Our well developed and robust supply chain allows us to deliver on our quality promises, on schedule, to a global market. Finally, our customer focus is fundamental to our approach. Through the development of close relationships, we endeavour to become an integral part of your team. We believe our flexible and friendly approach is key to achieving this. Our goal is to ensure our customers and their projects are successful through our collective commitment and strong partnerships. Do you have a project you would like to discuss with us? Take advantage of our expertise and arrange a meeting to discuss your project today.